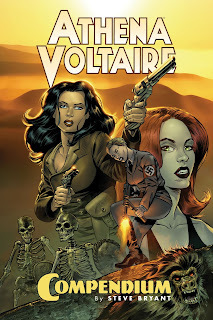 Athena Voltaire is a character who knows a thing or two about traversing the globe to take on Nazis, deal with occult science and handle any and all sort of mythical creatures. Her adventures have been ongoing, but she'd probably like a few more to know of her journeys. Now thanks to Action Lab Entertainment, plenty of new readers will be able to get down on her pulp activities. 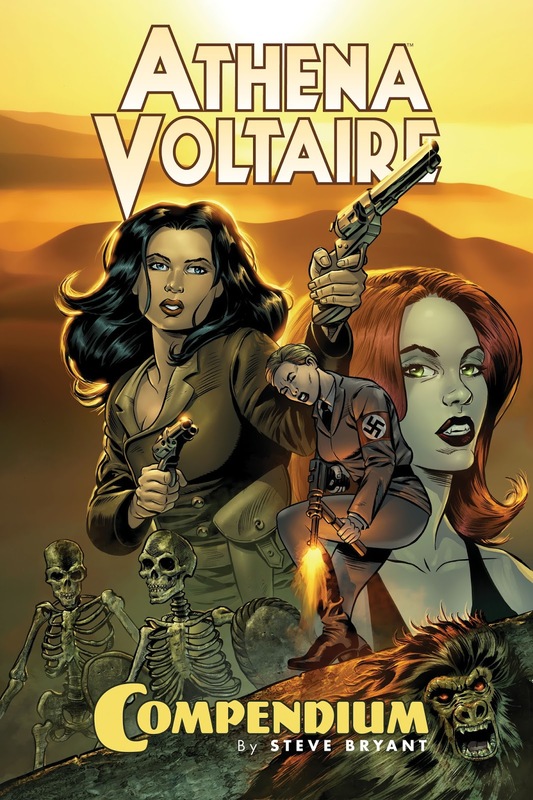 Athena Voltaire launched as part of the Modern Tales family of webcomics in 2002 and was nominated for a Best Digital Comic Eisner Award in 2005. The feature was included in St. Martin’s The Year’s Best Graphic Novels, Comics and Manga (2004 edition), and has subsequently garnered Manning and Harvey Award nominations, as well. 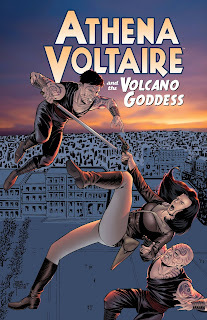 A re-release of the hardcover Athena Voltaire Compendium will mark the heroine’s Action Lab debut, followed by Athena Voltaire and the Volcano Goddess, an all-new 3-issue mini-series. Additional planned releases include a one-shot special and a prose collection. "I'm ecstatic for Steve to join the Action Lab family, and I can't think of a better home for Athena than Action Lab. 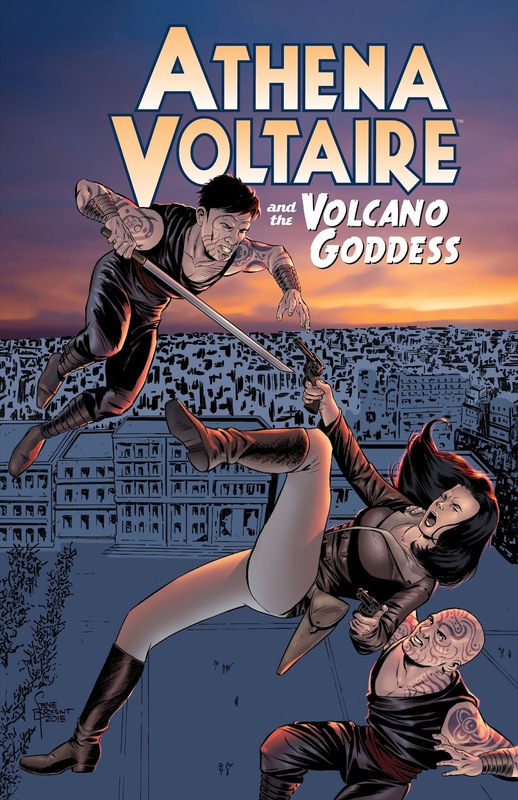 We have a proud history of publishing strong female characters, and Athena Voltaire is sure to stand shoulder to shoulder with Princeless, Aero-Girl, Nutmeg and Fight Like a Girl," said ALE President Dave Dwonch.